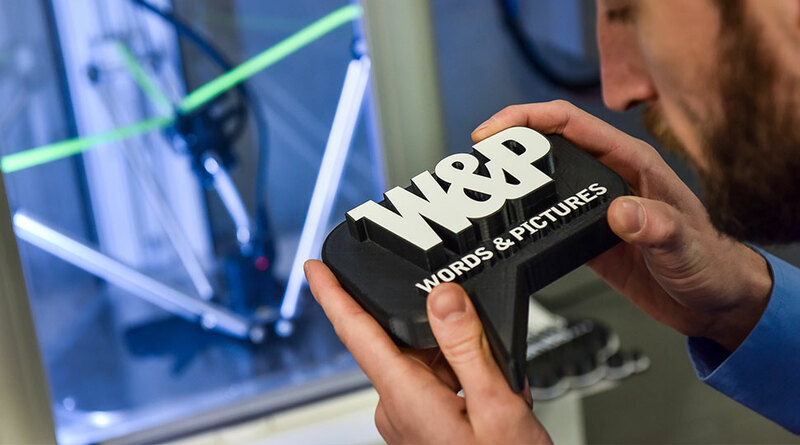 The popularity of 3D printed signage and lettering has grown in recent years, with many business tapping into the benefits of this new technology over traditional cut-shape methods. But this isn’t just for the novelty factor. 3D printing comes with unique benefits. It provides an effective way of building signs that limits waste and has fewer production stages. It also enables designers to create some really impressive custom shapes, within shorter lead times. The process of 3D printing creates durable, solid component parts. There are fewer joins, which reduces the number of weak spots and produces longer-lasting signage. It’s also possible to maintain the strength of a 3D printed object and reduce production times. This is achieved by producing large, solid parts with a honeycomb inner. The honeycomb-style structure provides strength while cutting back on the overall material content of each element. Thanks @digiplus for our 3D logo. Looking good! Unlike printing on to sheets of material that are cut and fixed together, 3D printed designs include simple joins that don’t require multiple processes to complete. Much like flat pack furniture, 3D printed structures include pegs and keys to make assembly fast and straightforward. 3D printed signage and lettering is often produced in one go. While letters are printed separately, there are fewer stages involved than the majority of other printing processes. And depending on the design and what you’re trying to achieve, manufacturing timeframes can be greatly reduced. 3D printing is also known as additive manufacturing. It describes the process of layering up material in formation to build a specific shape. Because the shape is created whole, there are no off-cuts. The only materials used are the ones that make up the finished article. With no waste generated during the process, 3D printing is an economical choice in many circumstances. Previously, the 3D detail in a sign would need to be laser cut or built up using several layers of material. But 3D printing technology has allowed ultra-fine detail to be created with ease. The components are created with the detail in mind, rather than adding it in afterwards. There will be some circumstances – most notably 2D graphics, like signboards – where 3D print simply isn’t applicable. It’s also important to consider the final goal of the 3D printed components. How long does the signage need to last? Will it withstand high temperatures? You will be able to discuss these questions with your signage supplier, who should provide you with an honest assessment of the best materials and approach to achieve your desired results. In the same way that large format printers have a maximum width, 3D printers have size limitations for the objects they can print. The parts created by a 3D printer are dependent on the size of the printer itself, as they have to fit within it. That’s not to say it’s impossible to create larger structures using a 3D printer, it just involves creating more component parts that can be pieced together to produce the finished design. We hope this has given you an insight into the world of 3D printed signage. It’s an ever-changing technology, which makes it a valuable resource. Here at Digital Plus, we currently have a Wasp and an XYZ 3D printer. If you’d like to discuss a potential project, just get in touch with our team. 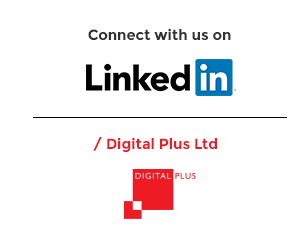 Follow us on Facebook, Twitter and LinkedIn to hear more from our specialists.